It has been a long time since I was a student (see my blog of 11 October 2013 - STUDENT FOOD YOU'LL NEVER EAT AGAIN), but you never forget the good times, the good student parties and the real food and drink, particularly the drink. It was therefore important that you had a few hangover cures to hand for those mornings the night-after. One cure that has stayed with me for forty years is Eggy Bread. Why not try it sometime and see if it works for your hangover. 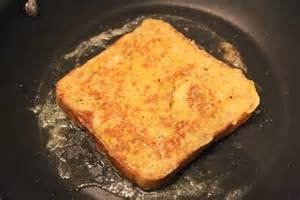 Heat the oil in a large frying pan Dip a slice of bread into the egg mix so that it is covered, then place in the pan to fry, and do the same with the other slices of bread. Pour any leftover egg into the pan and cook until the bread is slightly brown on the bottom. 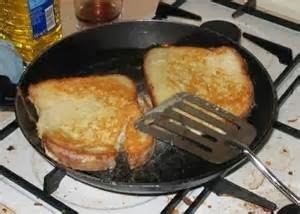 Separate the pieces of bread if they are stuck together, then flip them over and fry until brown on the other side. 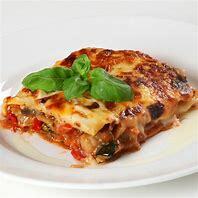 Drain on kitchen paper and then tuck in. 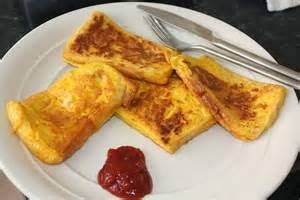 Eggy Bread goes well with grilled tomatoes or tomato ketchup; or if you are in need of a sugar fix add jam, honey or marmalade. Taking a healthy breakfast could block the weakness during the hangover and Eggy bread can be a nice and healthy breakfast. Thanks for sharing, nice and informative post. Also, during the hangover, take an IV therapy to cure the hangover fast. It's the easy and fastest way to cure the hangover. To avoid vomiting eat ginger and drink citrus fruit. It can be effective as a drink along with the Eggy bread. Thanks for your advice, a useful addition to my post, as is your article 'HOW TO CURE A MIAMI HANGOVER FAST'. Thanks ivdiv.